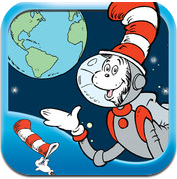 There’s No Place Like Space is the beginning of a new series – The Cat in the Hat Learning Library. They just raised the bar on educational apps. Lessons about planets, solar system and more presented in a fun way. Kids won’t even know they are learning! There is a memory technique for the kids to remember all the planet names and so much great information and fun. This book app is presented to us by Oceanhouse Media and we need to watch for more on the way! Highly recommended for teachers as well as parents and caregivers – such a great tool! The Cat in the Hat Takes the Kids on a Solar Ride! Kids can help but learn from their beloved Cat! The Kids learn about their planet too! A special memory trick from The Cat in the Hat! So much more in the book than I can video! This is a must have book app! I can’t wait for more in the series! This is the coolest app! It is silly, funny, and loaded with great info for my kids. I love it! 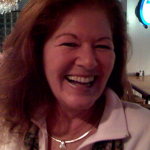 I agree – It’s a great new twist and I am looking forward to seeing more.